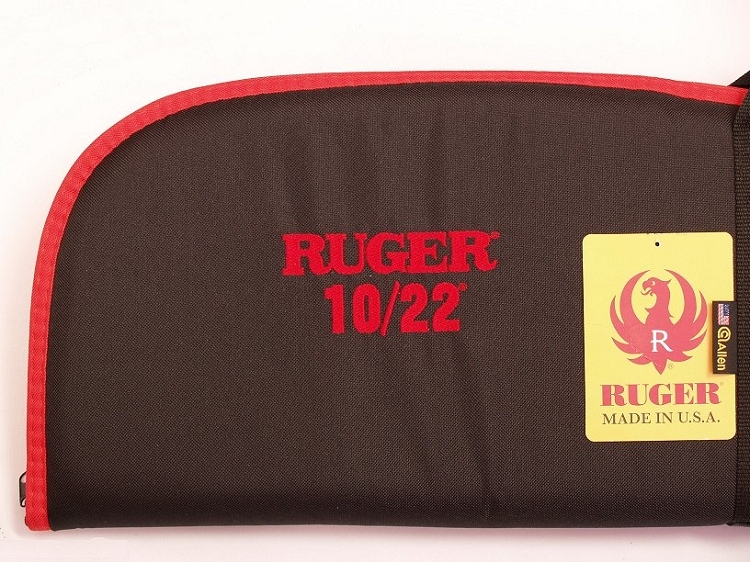 A padded black cordura 10/22 gun case with red trim, webbing handles, and Ruger 10/22 embroidery. Interior measures 39.5" x 8.25". Fits factory Ruger 10/22 rifles as well as M1 Carbine Tribute 10/22 rifles. DOES NOT FIT rifles with our 10/22 silhouette thumbhole stocks. If your 10/22 is decked out with a scope and thumbhole silhouette stock, we recommend the Scopetector Gun Case.